You are here: Home » Miscellaneous » How Much do You Spend on Drinking Fluids Each Year? How Much do You Spend on Drinking Fluids Each Year? I bet you have never considered how much you spend on your fluid intake each year. I had certainly never thought about it myself. Why would I think about it? How much could it be after all? People spend a lot more money than they think on their fluid intake. How do I know? It started with the question: “How long would it take to pay for a good quality water ionizer if you stopped drinking other liquids. The human body requires water… lots of water. The average adult should drink about 2 litres of water per day to replace the water that your body uses each day. Most of us consume water in many forms including milk, coffee, tea, and juices. Unfortunately many of us also consume significant amounts of the incredibly unhealthy liquids such as sodas and alcohol. Water is the only liquid required by the human body. Our bodies don’t need milk or juices or any of the other tasty liquids that we drink each day. In fact, when we drink anything other than water, we are forcing our bodies to eliminate the unwanted sugars and other substances that are added to make the liquids appeal to our taste buds. First, we need to look at the cost of a water ionizer. Since 2004, industry benchmark for the retail price of a water ionizer has been nearly $4,000. In the past three years, many good competitive products have entered the marketplace in the $2,000 to $2,500 range. Today, you can purchase the best product on the market for about $1,700. So, lets use $1,700 as the cost of a water ionizer. Now, lets look at what we spend on the liquids we drink. The internet offers plenty of information of our spending habits in regards to the liquids that we drink. For example, the US department of Labour offers up the fact that the average American adult spends $230 on alcohol per adult person. I have no idea what an average adult is, but for now, let’s just accept the number for lack of a better choice. The Disney Family Channel offers us a figure of $170 per person on soft drinks, which represents $56 billion dollars per year in sales in the USA. The dollar figure is significant, but the really scary number for me is the fact that the average adult consumes 30% of their daily calorie intake from soft drinks. Sodas and sweetened juices are the worst product that we put in our bodies, and they make up 30% of our calorie intake. I find it very disturbing that we reward the soft drink makers with huge profits for making us fat and sick. 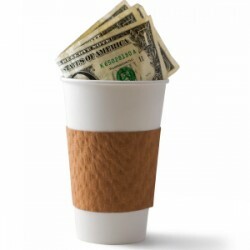 The internet also tells us that the average adult spends $165 per person for coffee per year. That represents another $18 billion dollars in spending for the 108 million coffee drinkers in the USA. Adding up the various amounts brings us to a total of about $700 per person per year in the USA. That means that the average couple spends about $1,400 per year. A family of four would easily take the total over $2,000 per year because children drink more juices and sodas to compensate for not consuming coffee and alcohol. While my research on the internet to determine the annual cost of beverages turned up a figure of $700, I have personally asked quite a few people to provide honest answers to the questionaire below. It doesn’t surprise me at all that the total cost per year varied between $1,000 and $3,000 per person per year. Please take a few minutes once you have finished reading this article to see how much you spend each year. I promise you that it will be worth the small amount of your time and effort. I think you will be surprised how much you and your family spend on drinking fluids each year. The following table will help you to calculate your average annual spending on liquids. Simply multiply the price for each beverage by the number of times you or your family consume that beverage each week. Then multiply the total by 52 to determine your annual cost for that beverage. Then, add up the annual cost of each of the liquids. Remember, this isn’t a survey, and nobody is ever going to see the results, so be honest. If you have taken the test, how did you make out? Surprised? I bet you are. Every person that I know who has taken the test has been surprised at how much their family spends on beverages each year. If you have been honest with yourself, you will likely see that you could purchase a water ionizer and have it paid for in no time at all as the payback for most families is less than a year. The water ionizer will last many years and provide the best drinking water in the world. Your body would be thanking you for the rest of your life. If a water ionizer purchase is not in the budget at this time, the very least you can do is purchase an inexpensive pre-filtration system and hook it up under your kitchen sink so that you can drink safe and healthy water. It is great to save money, but the real investment is in your health. 4 Responses to How Much do You Spend on Drinking Fluids Each Year? Prove to me that the best ionizer is 1700.00. I checked out your website and I see you are a Kangen dealer. Enagic dealers are proud of their products because they see how well they perform and how their products help so many people. When someone comes along and says that a product that costs less than half the money is as good or better, it represents a big challenge to the Kangen story. Why don’t you come to visit me in my lab in September when I return from my summer vacation, and we can test the units together. I own and test about ten different brands. Every one of the brands works. There is no such thing as a best brand, but there are specific machines that perform better than others under different source water conditions. My testing shows that the $1,700 machine produces results that match or beat all of the more expensive machines. However, that doesn’t mean the more expensive machines are bad. The lower cost machine has some great new features that I expect will be on most of the new models of the leading machines in the coming months. I don’t want to be like everyone else and bash the Enagic machines, but they have not been updated in many years and as such have fallen behind many different models that are now available on the market. I expect we will see lower prices across the board in the near future People simply won’t pay more than they have to unless they don’t do their homework. Thanks for your question. It is a good one. When I visited Korea in April to meet engineers and scientists and visit production facilities, I came across hydrogen water machines. These machines were about the same price as water ionizers and the Koreans were excited about their ability to raise the pH of water that was processed by the machines. It turns out that the hydrogen machines produce similar pH levels as water ionizers, but don’t produce the negative ORP. After looking at a number of machines from different makers, it appeared to me that they were not an improvement to water ionizers. The authors that you have quoted are highly respected researchers in Asia. The hydrogen water that they are talking about is in fact ionized water. When you see all the bubbles in freshly made ionized water, what you are seeing is the hydrogen bubbles being released and rising to the surface. I assume the cost difference that you are referring is between hydrogen sticks and water ioinizers. I have tested the inexpensive hydrogen sticks. While they produce elevated pH levels for a short period of time, they also produce water that develops a nasty taste and odour after a few hours. I’m not a fan of the hydrogen sticks.